Celebrity photobombs are nothing new. But Beyonce raised the bar this week by executing one right in the middle of a performance. 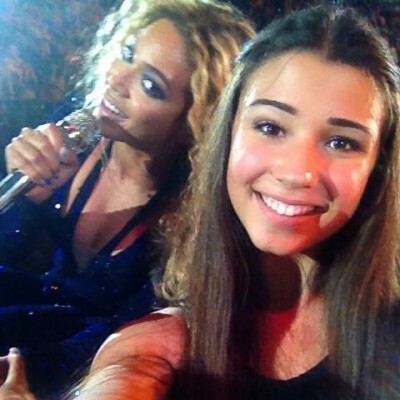 Bey was giving a show at Rod Laver Arena in Melbourne Park, Australia when she approached the front of the stage and a 15-year-old fan decided to turn her back for a photo. Just as she did, Bey swooped in and gave a sly smile for the camera. i dont even know it was such a blur i just remember her bending down to me and my friend and i just turned for the photo and wowoowow it was the best moment ever like she posed its crazy i wasnt even expecting her to look at my phone or notice me in the crowd.